From I-81 southbound. Photo by Mapmikey, taken February 1, 2006. At bottom of I-81 SB ramp. Photo by Mapmikey, taken February 1, 2006. 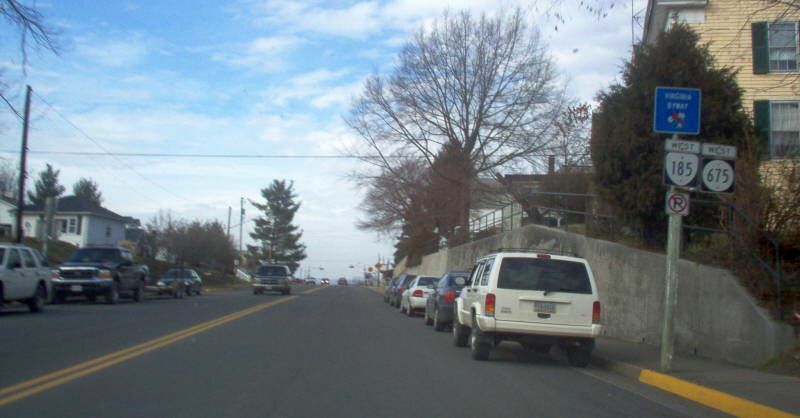 Beginning down VA 185 east. Photo by Mapmikey, taken February 1, 2006. At VA 185 west's end at I-81. Photo by Mapmikey, taken February 1, 2006. Approaching the end at US 11. Photo by Mapmikey, taken February 1, 2006. From US 11 southbound. Photo by Mapmikey, taken November 10, 2006. 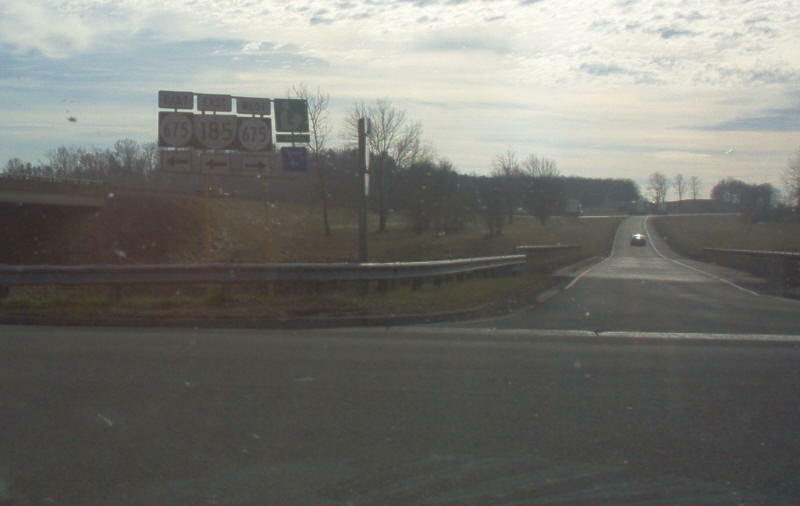 First westbound shields for VA 185 and SR 675. Photo by Mapmikey, taken February 1, 2006.